Light houses have been closing for the past almost 100 years. But there is a new one. And this is not a 15-foot skeleton, but what anyone would say is a lighthouse. In my old home town of Kennewick, Washington, on the Columbia River in Eastern Washington. 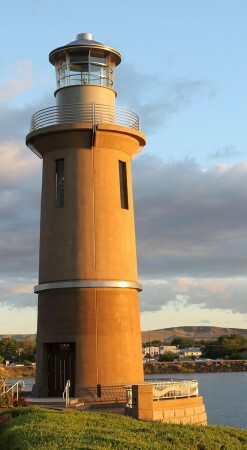 On Clover Island, it is about 62 feet tall.